Belmont Chiropractic Center has been proudly offering professional chiropractic care in the greater Belmont, Cramerton, Gastonia area since 1984. Our certified Chiropractors, have years of experience dealing with most any injury or condition, from crooked spines to whiplash, and all are extremely well trained in alternative pain management methods and rehabilitation. At Belmont Chiropractic Center , attentive patient care always comes first. Our skilled Doctors and friendly Staff always take the time to listen to their patients, paying special attention to their description of pain, its location, and whether or not a certain treatment is or has been effective. We believe that our patients know best when it comes to their own pain, and we do not pretend to "know better" and offer a treatment that does not suit their unique situation or needs. Rest assured that should it be determined after a complete examination that your condition is not within the scope of chiropractic care that we will refer you to the proper specialist for evaluation and follow up. Our team of professionals strive to stay up-to-date with new breakthroughs in the medical world. Belmont Chiropractic Center takes pride in the fact that it offers each of its qualified doctors and staff members regular training and information sessions so that they are equipped with the very latest methods and treatment options available. The physical and mental well-being of our patients is too important to us to not take advantage of every single discovery that may be helpful to them. If you live in the greater Charlotte, Belmont, Cramerton or Gastonia area and are in need of an experienced and caring chiropractor, Belmont Chiropractic Center is the practice to call upon. Do not settle for a chiropractor that will not put your needs ahead of his or her busy schedule and who treats his or her patients like numbers. Trust the personalized, caring approach that our doctors and staff offer you and start your way towards enjoying the quality of life that being pain free can offer. If you are not sure whether or not you need chiropractic care, do not hesitate to call or visit our office today. We will be more than happy to listen to your description of the chronic pain that you are experiencing and the circumstances that brought it on and offer you our professional opinion. Whether you are suffering from chronic migraines or have a hard time moving around because of arthritis, we may be able to help. Stop living with chronic pain, call our office today! Never a charge for consultation to discuss your health care concerns with the doctor. 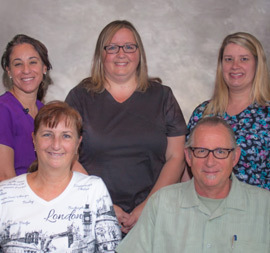 Belmont Chiropractic Center 's certified and qualified chiropractors have been helping patients in the greater Gaston and Mechlenberg County area since 1984. We understand how frustrating your pain can be and strive to offer each and every one of our patients personalized and attentive care.